My kids are not big on scary stuff. No scary books, no scary toys and definitely no scary movies. And I can’t say I blame them, because I am the same way! But with Halloween a few days away, we are having a little get together at our place that involves pumpkin decoration, apple stamping, pizza and then a movie. So I’ve been looking up Halloween movies that aren’t scary that the kids would enjoy and I actually found quite a few on Netflix. 1. 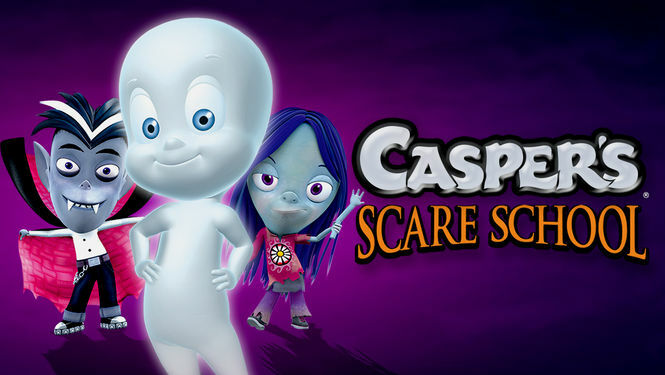 Casper’s Scare School – Casper is a friendly ghost, but because he’s too friendly he has to go to scare school! 2. Nightmare Before Christmas – This is the story of Jack Wellington from Halloween Town. Jack decides to open the door to Christmas Town and celebrate that holiday instead. Let’s just say, some fun ensues. 3. Thomas & Friends Halloween Adventures – Are there really ghosts on the Island of Sodor? Thomas and his friends investigate to find out! 4. Wallace & Gromit – The Curse of the Were-Rabbit – This fun Halloween flick is about Wallace and his loyal dog, Gromit. They set out to solve the mystery behind the garden sabotage that threatens the annual giant vegetable growing contest. 5. 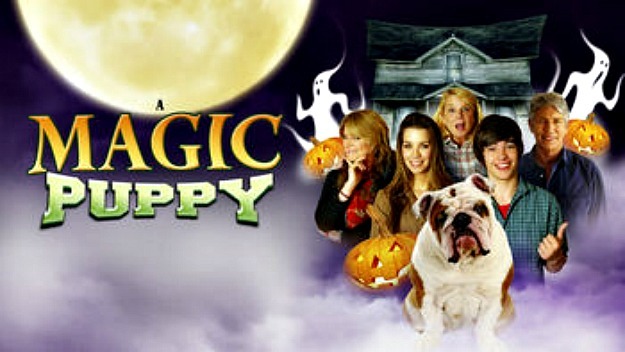 A Magic Puppy – The whole family will enjoy this movie about a girl who accidentally turns her mom’s boyfriend into a dog. 6. Hotel Transylvania – Dracula operates a high-end resort away from the humans. But then a boy discovers the resort! 7. Children’s Favorites Halloween Treats – All of your kids favourite characters teach about how to share in the excitement and fun of Halloween in a scare-free collection of shows. 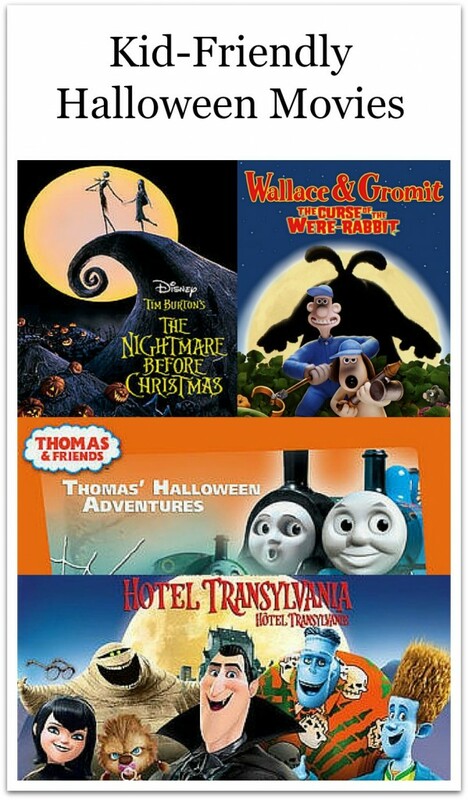 What are your families favourite Halloween movies? this is a great list! Some I have not see in years and I’m sure my girls would love to see them. Happy Halloween! I’m glad you can find child-friendly movies. There are some really scary films out there right now. Give them a cuddle from me.